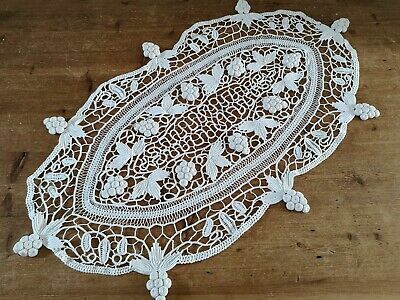 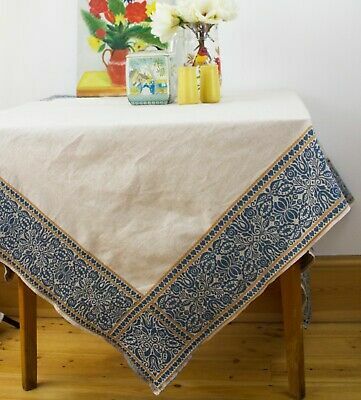 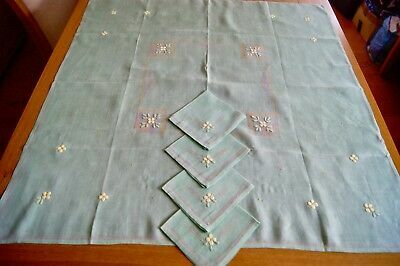 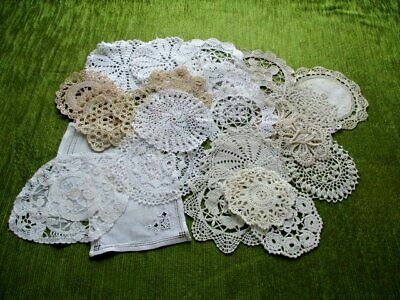 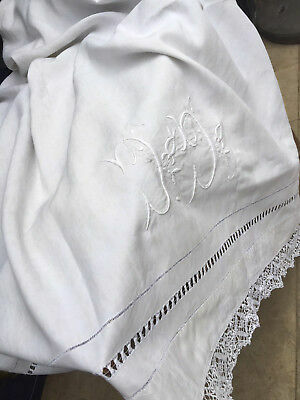 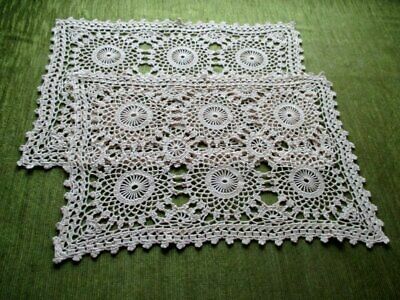 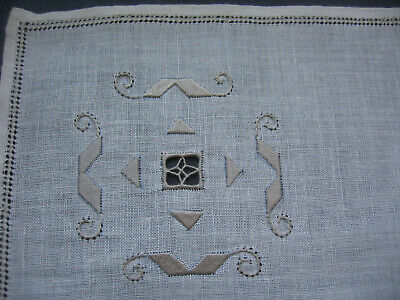 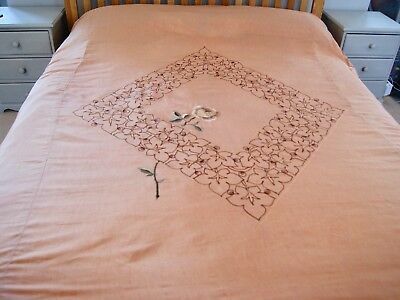 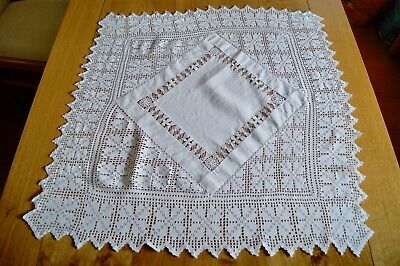 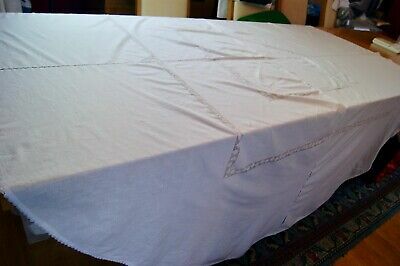 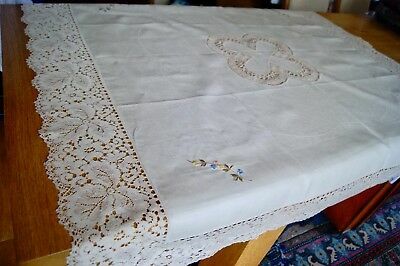 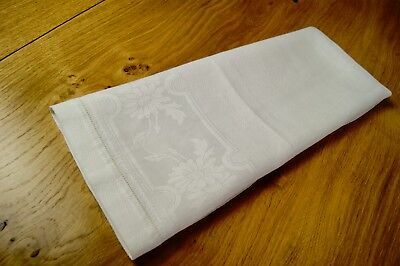 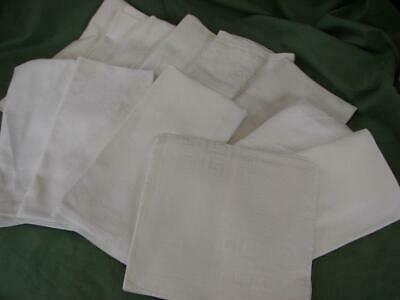 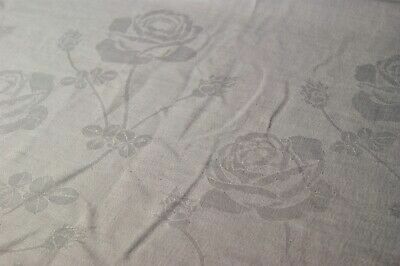 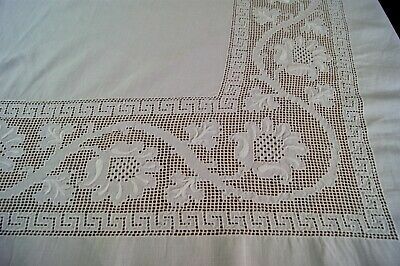 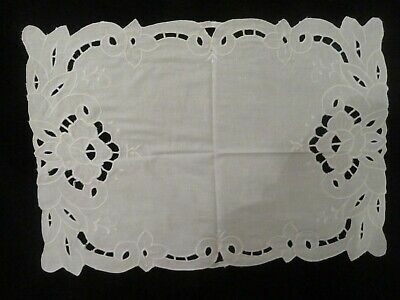 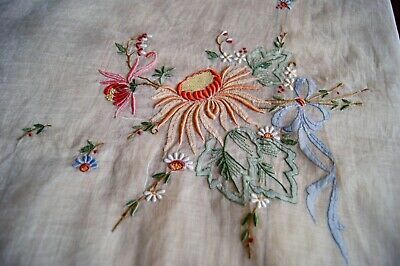 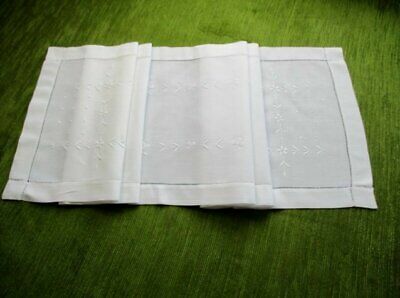 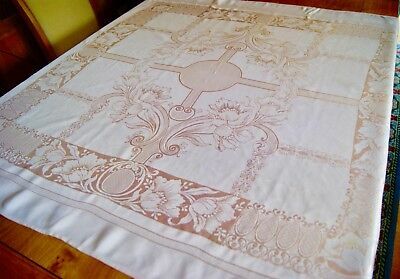 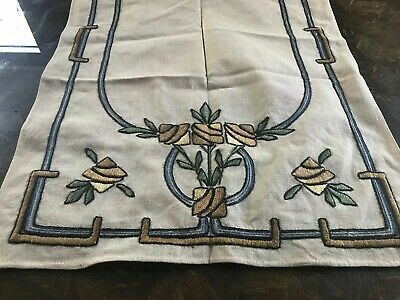 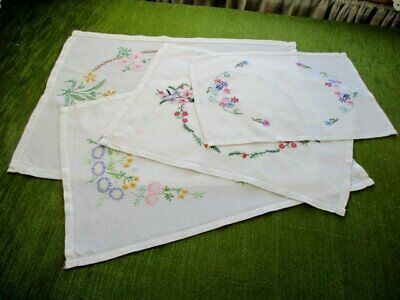 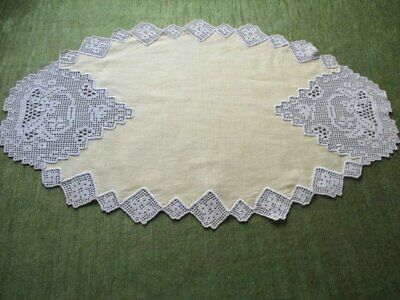 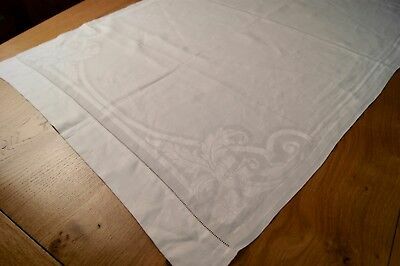 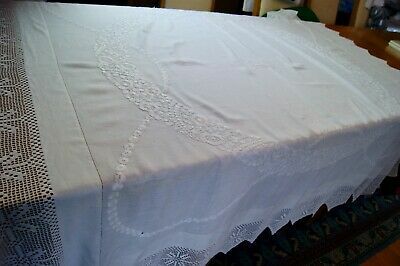 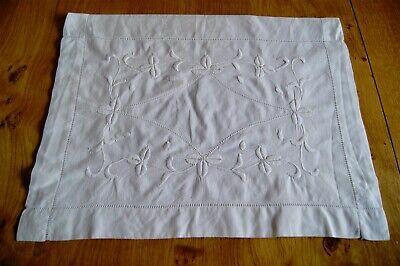 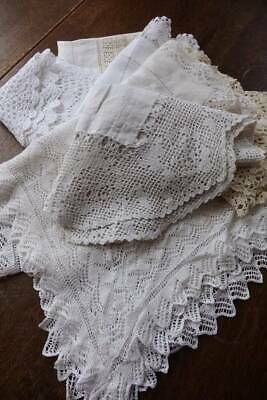 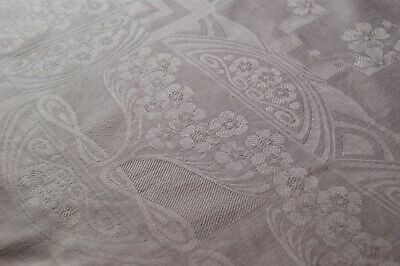 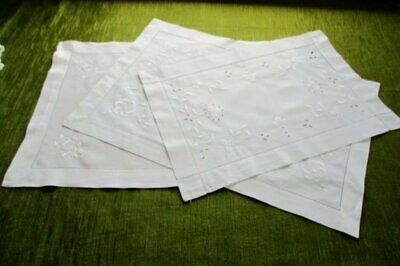 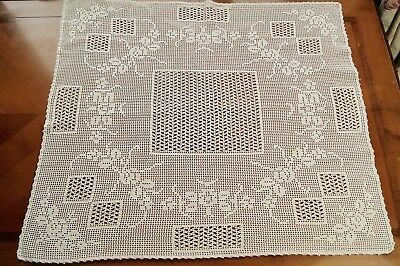 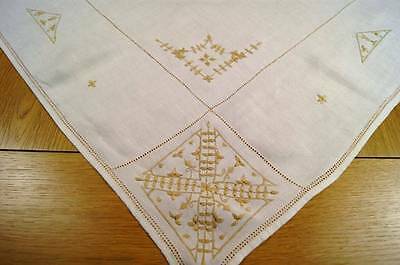 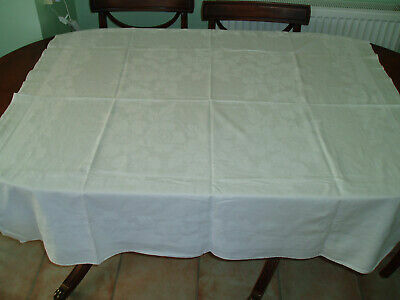 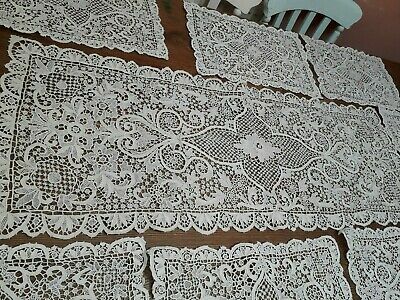 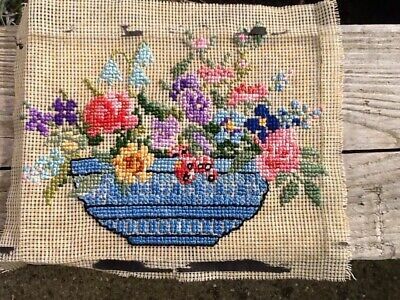 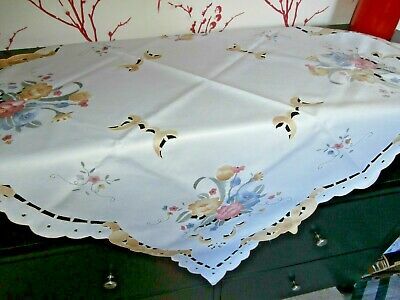 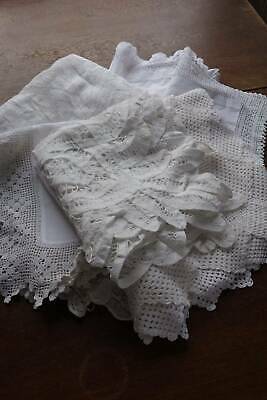 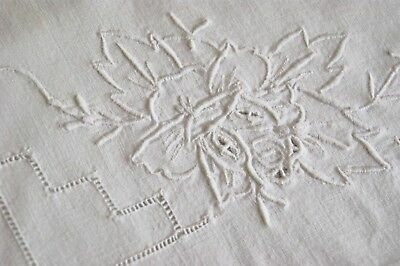 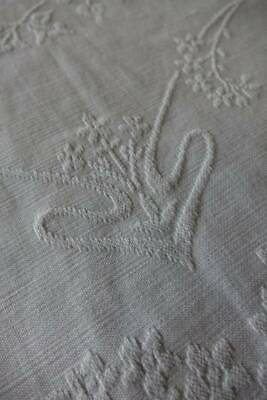 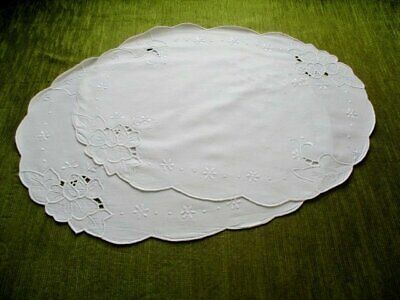 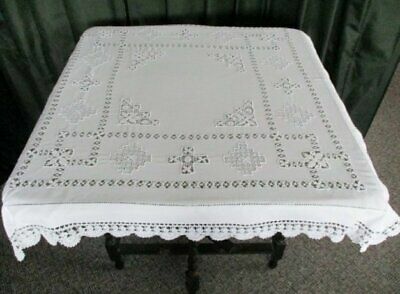 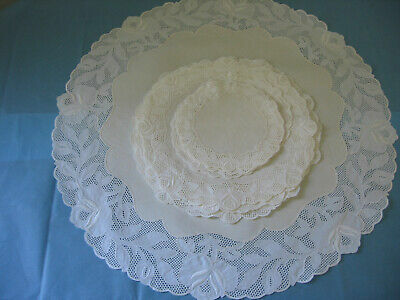 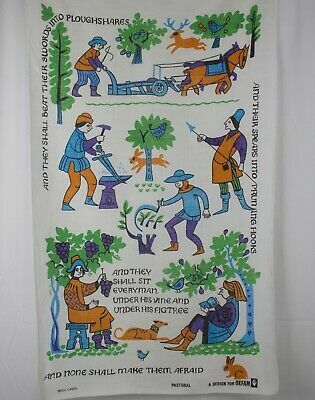 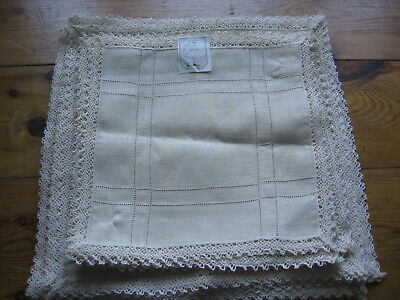 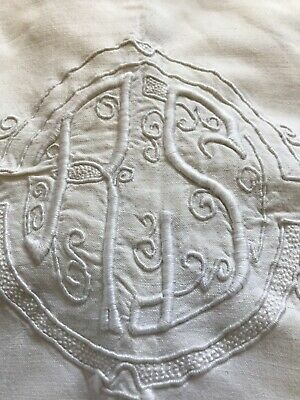 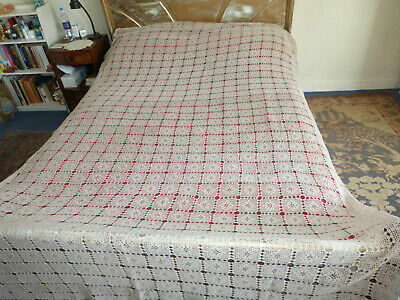 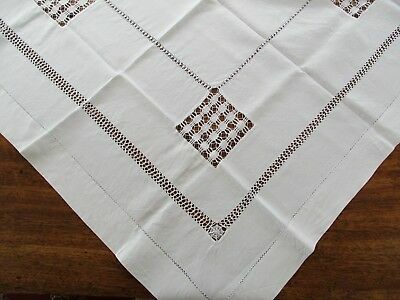 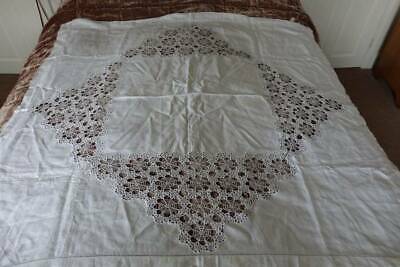 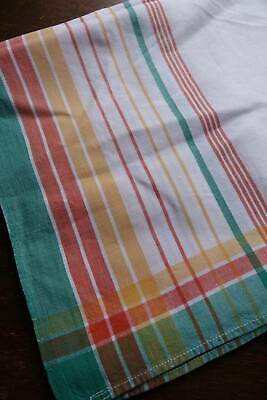 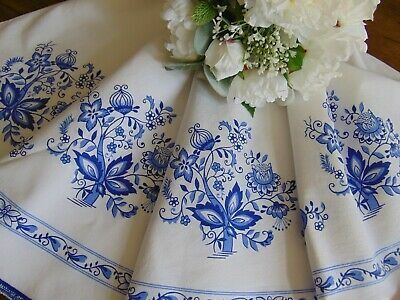 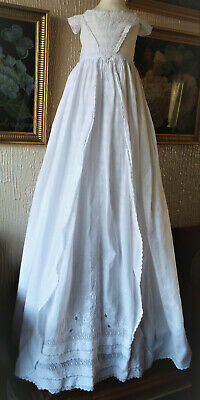 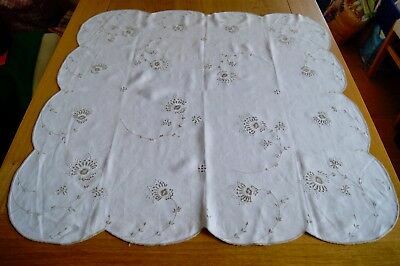 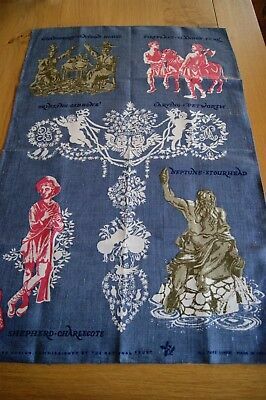 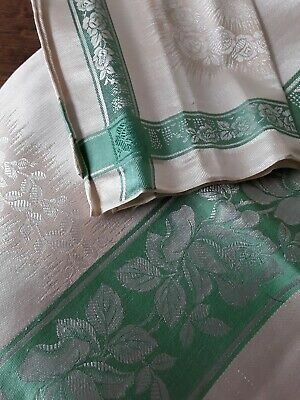 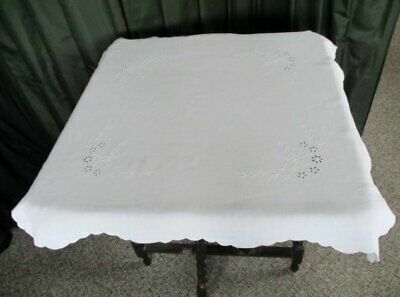 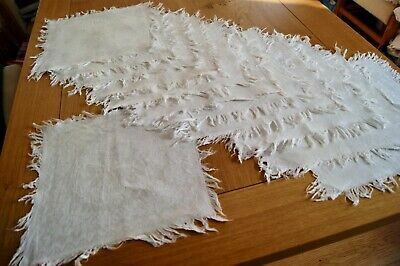 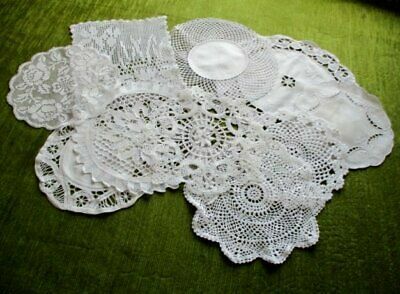 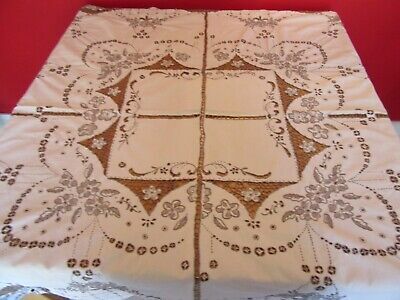 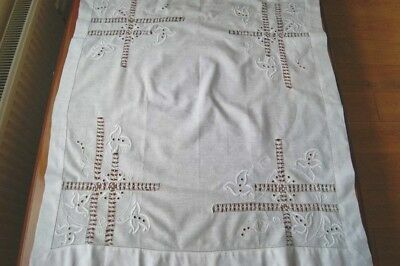 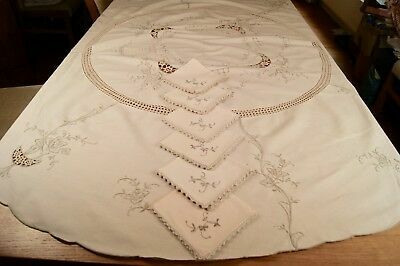 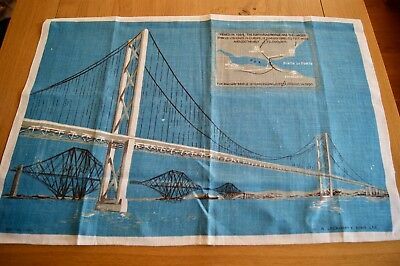 ANTIQUE TABLECLOTH - DRAWN THREAD WORK - 34"sq. 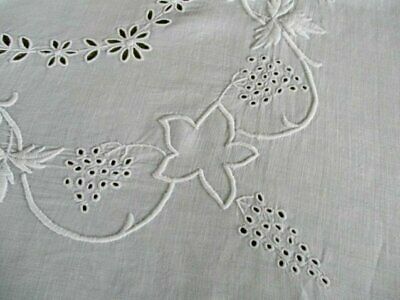 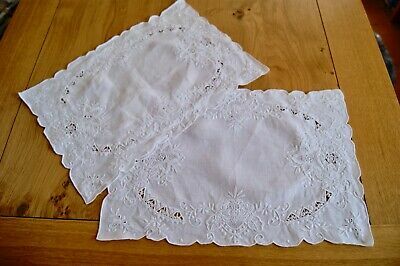 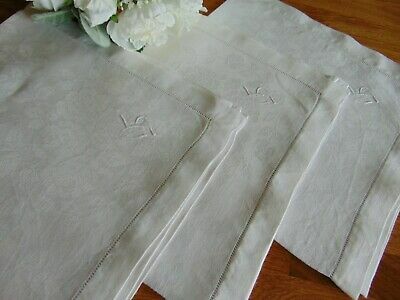 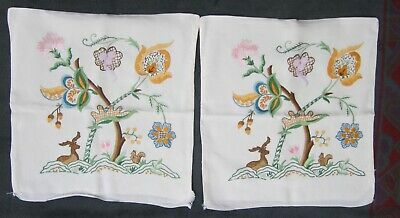 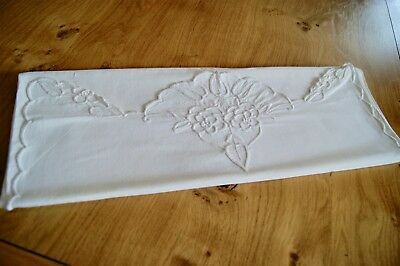 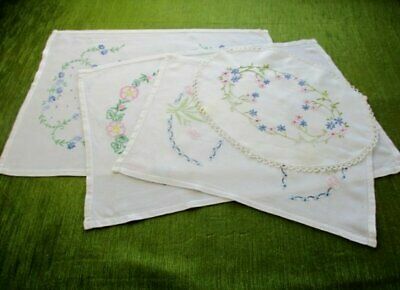 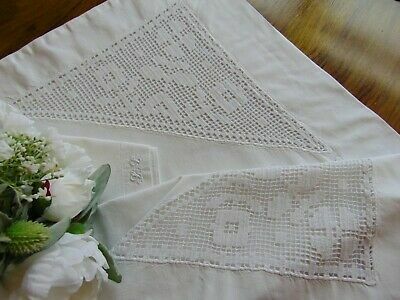 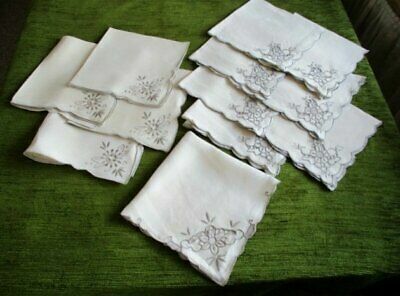 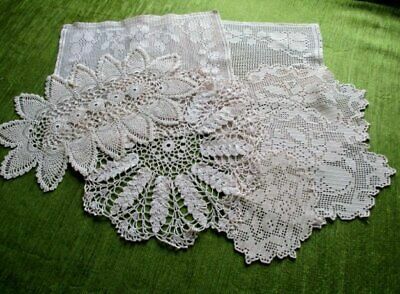 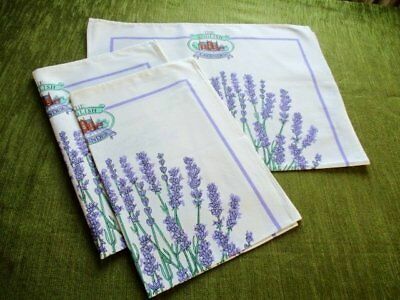 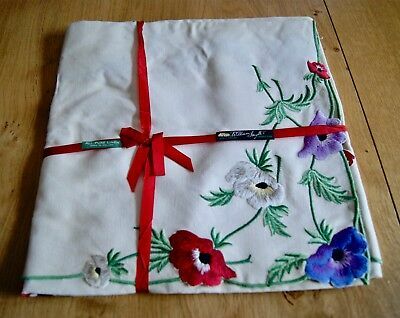 Pair Vintage Unused Irish Linen Embroidered Pillowcases 20" x 30"
VINTAGE WHITE COTTON TABLE RUNNER Whitework Embroidered Flowers 43" x 11"
Vintage Linen Damask Flower Design Table Cloth 50" X 51"
ANTIQUE TABLECLOTH - HAND CROCHET DECORATION - 50" x 60"
ANTIQUE/VINTAGE WHITE COTTON WHITEWORK EMBROIDERED NIGHTDRESS CASE 18" x 14"
Vintage white French linen metis sheet with plain hems. 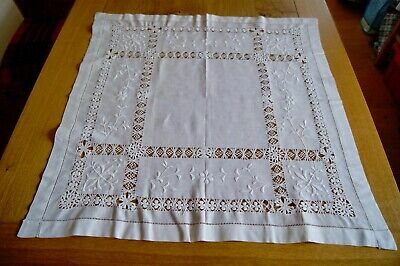 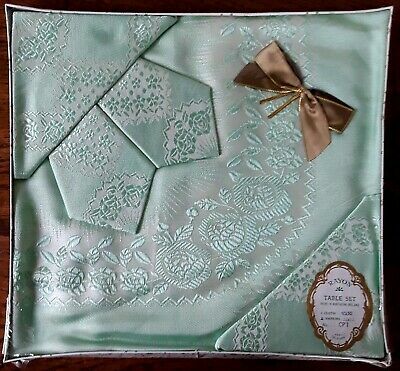 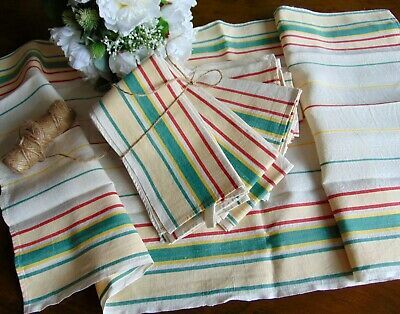 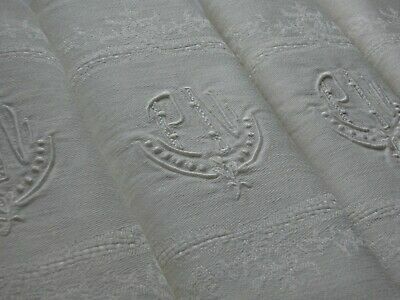 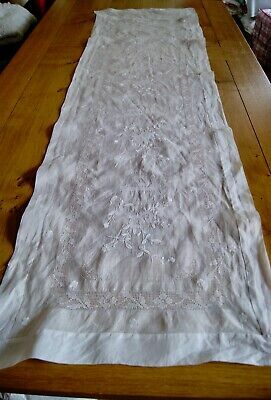 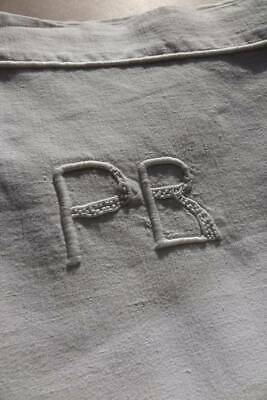 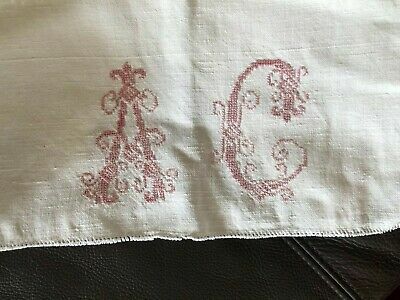 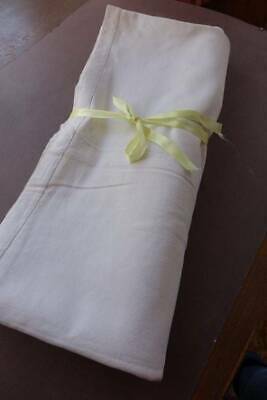 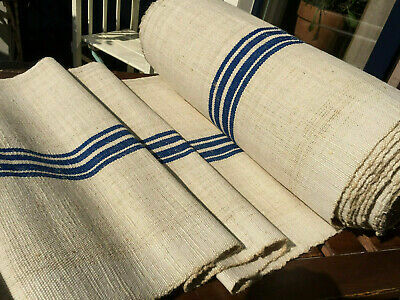 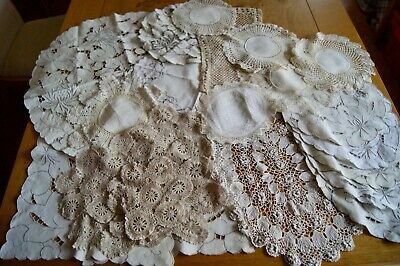 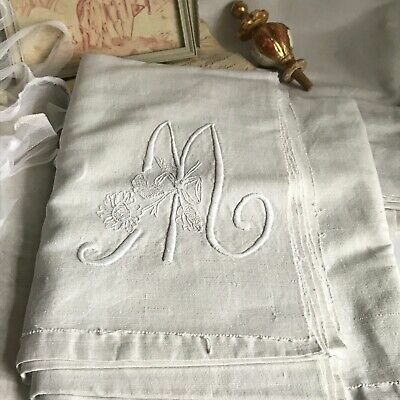 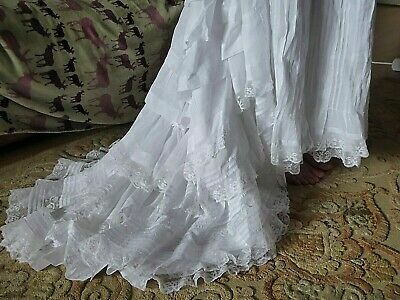 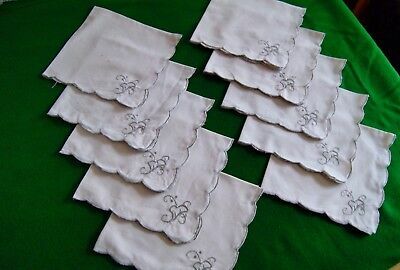 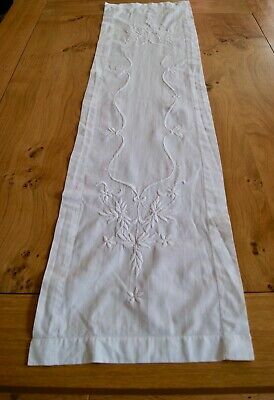 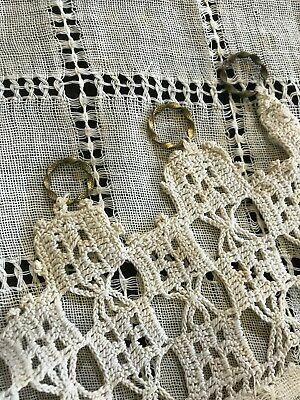 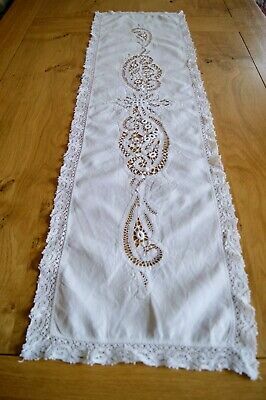 88" x 116"
ANTIQUE VINTAGE WHITE LINEN TABLE RUNNER Tape Lace Bobbin Lace Needlelace 43x12"
Antique French linen metis sheet with monogram "P.B" & whipcord hem 80" x 130"
VINTAGE PEACH RAYON LINEN EMBROIDERED BEDSPREAD OR TABLECLOTH 91" x 98"